Want to enjoy the authentic sights and sounds of a roulette game without making the trip to your local casino? Live dealer roulette brings you the best of both worlds. Immersive gameplay, a super range of titles and the best bonuses on the market- you’ll find it all at our top live casinos. Compare, sign up and start playing live dealer roulette today! Look no further than our top casino list for the very best places to play live dealer roulette online.  Browse and compare the best bonuses on offer, and check out our expert casinos reviews for the inside information on everything from software to banking options. Settled on a live dealer casino? Follow our link to take you straight to the signup page, where you can create your account within minutes. Make sure to check whether you need to opt in or enter a promo code to claim your live roulette bonus. You’ll need to deposit if you want to play live roulette online, so head to the cashier page to get your bankroll started. There’s a range of banking options at our recommended live roulette casinos, from PayPal to pay by phone bill, so pick out your preferred option, enter your chosen amount and hit confirm. Once your account’s funded, head over to the live casino page and load up your chosen roulette game. All that’s left to do is set your bets, sit back and hope the ball lands in your favour. Good luck! Live dealer games are all the rage these days, and live roulette is a particularly popular title at online casino sites. So what’s all the fuss about? Our guide has got all the need-to-know information on this casino favourite. Why do players choose live roulette?  Regular online casino games are great, but they don’t provide the social element that makes playing at an actual brick and mortar casino so fun. This isn’t an issue when it comes to live dealer roulette- not only can you interact with the dealer, many multiplayer games offer the opportunity to chat with other players as well. 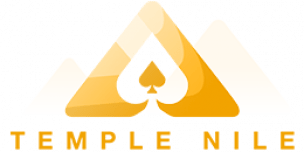 This bridges the gap between online and land-based casino gameplay and adds a human touch that you just don’t get with RNG (random number generator) games. Players often find this one of the most enjoyable parts of live casino gameplay. Lots of games also give you the chance to play roulette live with your preferred dealer, which makes for a more personalised live roulette experience. Live dealer roulette is as close as you’ll get to the real thing without leaving your house. Games are either streamed from land-based casinos or specially built studios designed to look, sound and feel just like the real deal. Throw in professionally trained dealers and authentic casino equipment, and live roulette brings all the excitement of the casino floor to the comfort of your own home. The best live casino software developers also stream their games in HD, which makes the gameplay even more immersive. You should feel as if you’ve just entered a real land-based casino- something that can’t be said for standard online roulette games. Every game you play at UK Gambling Commission (UKGC) licensed casinos are tested, audited and closely monitored to ensure fairness. However, some players get peace of mind from watching an actual dealer spin the wheel rather than RNG software. In fact, this is one the reasons live dealer games became so popular in the first place. All live roulette dealers at UK casinos are experts in what they do, and all the equipment is tested to make sure that spins are fair, accurate and unbiased. 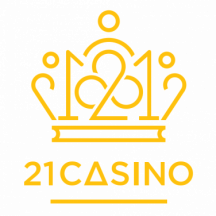 Of course, only UK licensed operators make it onto our list of the best online casinos, so you know you’re playing at legitimate and trustworthy live roulette sites when you choose from TopRatedCasinos.co.uk. Live roulette is a fairly simple concept. Once you load up the game your view will consist of the roulette wheel and your live dealer. You can interact with your dealer via the live chat feature, and they’ll respond by speaking into the camera. Games often use multiple cameras to capture different angles and provide close-ups, which provides a more immersive roulette experience. When it comes to setting your bets, there isn’t much difference to RNG games- simply place your chips on the felt via the user interface. There’ll usually be a limit to how long you’ll have to do this, and the croupier will inform you when no more bets are allowed. Live roulette games are broadcast in real time, and the only real difference in terms of gameplay is that there’s no spin button- the croupier takes care of that for you. Once you’ve placed your bets you can just sit back, relax and hope your luck’s in as you wait for the wheel to stop spinning. The major differences between live dealer and RNG roulette games are clear to see, but there are a few factors that aren’t so obvious that you should bear in mind. At some sites you can play low stakes RNG roulette for just a penny per spin, but you won’t find this option at live casinos. Live games are more expensive for casinos to run, so they generally have higher bet limits and aren’t available as free demos. That being said, many live online roulette games have a minimum bet of 50p or £1, and a select few have 10p minimum bets, so there’s still a range of games to suit different budgets. RNG roulette can be played at your own pace- you can place your bets as fast or as slowly as you like. In live games, however, you have to keep up with the pace of the dealer. If you’re a particularly speedy player or like to take your time about things, this may take a little getting used to. Luckily, lots of top sites offer live dealer speed roulette games, which is specifically designed for fans of quickfire gameplay. In regular live games you can skip a turn by not placing any wagers, so you don’t have to rush your bets and can give yourself some time to decide on your next move. There are generally fewer variations of live roulette than RNG roulette games. Live casinos mostly stick with traditional variants, such as American and European roulette, whereas RNG roulette games can feature a range of quirky titles, like Monopoly Roulette. But that not to say that live roulette fans are short of options, the live roulette sites on our list feature games with a range of different dealers and betting options to keep things interesting. Take your pick. The aim of the game is to predict where the ball will land. The most basic bets are red or black and odd or even, but there’s a number of other betting options to choose from, all with their own unique odds and payouts. Place Your Bets. Next up, it’s time to set your stakes. You do this using your roulette chips, each of which is clearly marked to show its value. Simply place your chips in the corresponding area on the betting table and you’re good to go. Spin. Once your wagers are on the table it’s all out of your hands and Lady Luck takes over. Sit back, relax and watch as the dealer spins the wheel. Fingers crossed the ball lands in the pocket you’ve predicted! Check for winnings. Once the ball stops, a marker will be placed on the table to indicate the winning number. All losing chips will be collected and any winning bets will be automatically paid out to your existing balance. If you do strike lucky, you can either withdraw your winnings or use it to make another bet or play other casino games. European roulette – This is the most common live roulette variation and has 37 pockets numbered 0-36. The 0 pocket is green, while every other pocket is red or black. French roulette – Very similar to European roulette, but the French version has a slightly different layout and features several alternative betting options. The La Partage rule means that players only lose half their wager when they’ve placed an odds/even bet and the ball lands on 0. American roulette – The main difference between this and the European variation is that American roulette has an additional 00 pocket, so there are 38 pockets in total. This means the player has slightly less favourable odds. Speed roulette – A popular variation at live casinos, designed for players who want to speed up the gameplay. The fastest speed roulette games take a mere 25 seconds to move between spins. Plenty of casino software developers have tried their hand at online live roulette, but which have produced the best games in the business? Evolution is well-known as a market leader when it comes to live dealer software, and its roulette offering definitely lives up to expectations. Lightning Roulette is a particularly popular variation, thanks to its exciting game show-style and extra ways to win through the Lucky Numbers and Lucky Payouts feature. Immersive Roulette is another fan favourite, which features multiple cameras, close-ups and slow-motion replays so that you don’t miss a second of the action. There’s also Live Double Ball Roulette, where there are two balls and two winning numbers per spin- a world first for live casinos. Like Evolution, Playtech is right up there at the top of the live dealer tree and offers a great selection of online live roulette titles. As well as the likes of Live European, French and Speed Roulette, Playtech’s Prestige Roulette offers a range of camera angles and instant replays to provide an even more immersive live roulette experience. There’s also Live Age of the Gods Roulette- a unique spin-off of the famous slot series. 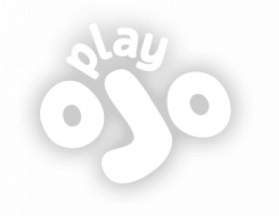 A small portion of every spin on this innovative game goes toward the progressive jackpot that runs across both live and RNG Age of the Gods games. There are four tiers to the jackpot, which gives players of different budgets the chance to win big. This software giant doesn’t boast quite as many variations as Evolution or Playtech, but its live dealer roulette game is still right up there with the best and can be found at a range of the UK’s top live dealer casinos. NetEnt does offer something you won’t find with other developers, though: the NetEnt Virtual Live Casino. This isn’t your regular live casino product. There’s still a live dealer, but games are set in a virtual 3D casino. So rather than just your typical view of dealer and table, there’s a whole virtual casino floor in the background, complete with other live games taking place at the same time as yours. It’s safe to say that this definitely adds a new dimension to live casinos. Are you a fan of mobile roulette? Good news- you can also play live roulette on the go at the best live casinos. Of course, you’ll need to make sure you have a decent internet connection, but you can enjoy immersive roulette gameplay while you’re out and about. Pretty much every online casino has a mobile-friendly website, but the best operators also have native mobile apps, which can make playing mobile live roulette even faster and smoother. This is because apps store data on your device, while mobile casino sites store data on servers which can take longer to load. Casino apps also have other handy benefits, such as push notifications, to let you know about the latest bonuses. Casino bonuses aren’t restricted to RNG games- you can also use them on live dealer roulette the top UK casinos. 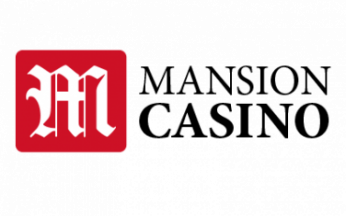 This doesn’t usually apply to no deposit bonuses, but there are plenty of sites that offer matched deposits to play live roulette. These give you a percentage of your first deposit as a bonus and are a great way to boost your bankroll. Some top sites even offer exclusive live dealer bonuses, perfect for fans of a more authentic casino experience. Just remember that your live roulette bonus will come with terms and conditions such as wagering requirements, which means you’ll need to wager your bonus fund a number of times before it can be you can withdraw any winnings. This is often made harder by the fact that at most sites only a small portion of bets placed on roulette count towards the wagering. This is often as low as 10%-20% but at some sites, your bets on roulette will be excluded completely from the wagering contribution, so be sure to read the small print. Ready to play live dealer roulette? Now you’ve got the lowdown on live dealer roulette, you probably want to get out there and try it for yourself! Compare live roulette sites from our carefully selected list to find your ideal UK online casino, as well as a top live roulette bonus. Then all you need to do is sign up to start playing live dealer roulette today! Can I use a roulette strategy to guarantee a win in live dealer roulette? No. Roulette is entirely a game of chance, so there’s no secret on how to win. Some players use betting systems like the Martingale or Fibonacci, but these are merely betting strategies that can be used to structure your wagering to help with bankroll management, rather than changing the house edge. Can I play live dealer roulette for free? Do I have to download software to play live dealer roulette? No. The top software developers build their live casino roulette games using HTML5, which means that they can be played instantly. No need to download software- you can start playing right away. Is live dealer roulette available 24/7? Yes. While certain tables may have restricted opening times, many of the top casinos offer live roulette games that are open 24/7. This means you can enjoy spinning the wheel whenever you fancy. Can I play other games at live roulette casinos? Yes. Pretty much all live casinos offer a variety games, including live dealer blackjack, poker and baccarat as well as roulette. 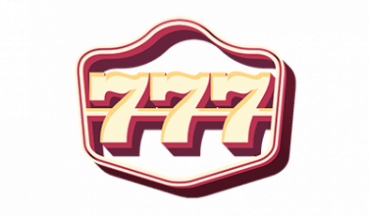 Of course, most sites also have a wide selection of RNG games and slots, so there’s plenty on offer at the best online casinos. Can I play live dealer roulette at new casinos? Yes. Live online roulette isn’t only available at the more established brands- you can play it at brand new online casinos as well. This means live dealer roulette fans have a whole range of sites to pick from- use our top casino list and expert reviews for easy and impartial casino comparison.